Welcome to another movie day on Daily Dose of Art! To continue with our feature on Keeping Christ in Christmas, I bring you two recent film portrayals of The Nativity. Mary counts her blessings when her parents arrange to marry her to a local carpenter, Joseph. He has a good heart, but when she falls mysteriously pregnant, he can’t accept her explanation. 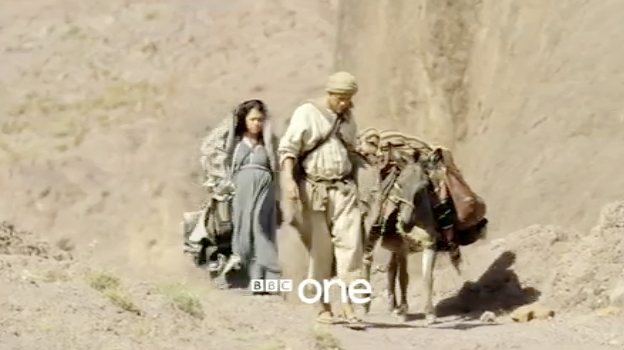 He must, however, set aside his anger, to save her life – by allowing her to travel with him to a faraway town… Bethlehem. The tyranny of Herod, search of the Magi, and the Earthly troubles of the lowly shepherds are all explored in this visually stunning film. It renders beautifully a classic tale and reveals that behind the traditional, there is a universal and very human story. A story of two people: a young, scared girl with a momentous role in history and the kind man who loves her. This unique take on the story of the Nativity explores the troubled times of turn–of–the–millennium Judea, bringing legend to vibrant life. The Nativity Story is a 2006 drama film based on the nativity of Jesus starring Keisha Castle-Hughes and Shohreh Aghdashloo. Filming began on May 1, 2006, in Matera, Italy, and in Morocco. New Line Cinema released it on December 1, 2006, in the United States and one week later on December 8 in the European Union. The film made history as being the first film ever to stage its world premiere in Vatican City. The plot begins with the portrayal of the Massacre of the Innocents. 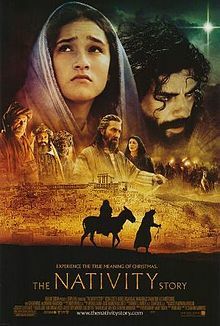 The remainder of the movie portrays the annunciation (conception) and nativity (birth) of Jesus Christ to explain why King Herod (Ciarán Hinds) ordered the murder. This entry was posted on December 28, 2012 by Paulina Constancia in Care and tagged Christmas, film.